We are proud to work with a range of excellent Higher Education Institutes and training partners attracting the very best graduates into teaching. Excellent Initial Teacher Training programmes are key to recruiting the highest calibre of graduates wanting a career in teaching. Cockburn currently works with The Gorse SCITT (formally LTSA), Teach First, Troops to Teachers, Leeds Beckett University, Sheffield Hallam University, Bradford College, Leeds Trinity University and Leeds Trinity School Centred Initial Teacher Training (SCITT) in providing mentored training programmes in school for trainees on their way to achieving their Post Graduate Certificates in Education (PGCE). Teacher Training at Cockburn School plays a key role in our journey of ‘Transformation to Excellence’. This page has details of our partnerships with The Gorse SCITT (formally LTSA), Leeds Trinity University and Yorkshire Inclusive Teaching School Alliance (YITSA). Prospective teachers from across an extensive range of subject specialisms can apply to train by clicking the links below. Cockburn School is a partner in The Gorse SCITT, formerly called The Leeds Teaching School Alliance. Other partners are The Morley Academy, The Farnley Academy, The Ruth Gorse Academy, Whitcliffe Mount School, Elliot Hudson College and The Bruntcliffe Academy. As a crucial partner, we offer a fresh and dynamic route into teaching where we award Qualified Teacher Status made up to a complete PGCE via the Masters level work conferred by Sheffield Hallam University. The SCITT has a successful track record of developing outstanding secondary school teachers. We have excellent rates of employability of our graduates both within our alliance schools and also elsewhere in the Yorkshire region and beyond. Cockburn School is proud to have employed a number of these graduates. Across our partner schools there are many Subject Experts, Specialist Leaders of Education, Advanced Skills Teachers, Trained Coaches, Mentors and Outstanding Leaders to support and guide trainees through their first year in teaching. Cockburn is the Leeds Trinity SCITT lead school for Music, Dance and Drama PGCE training and is responsible for leading the in-school provision for a number of trainee Music teachers in 2014. In 2015, this provision was developed to include the PGCE training of Drama/Performing Arts. School Centred Initial Teacher Training courses are ideal for any graduate who wishes to complete their teacher training within a school environment. As all Trinity SCITT courses are led by local active teaching professionals, trainees can expect to receive a high level of training and support from both inside and outside the classroom. That’s why if trainees are passionate about working within a teaching environment and eager to develop confidence and understanding as a teacher, a School Centred Initial Teacher Training course is a fantastic choice for them. SCITT courses offer a full Professional-Graduate Certificate in Education (PGCE) with Qualified Teacher Status (QTS) and 60 Masters credits. Click here for more information about the Leeds Trinity SCITT route into teaching. Cockburn is proud to be one of 15 schools working with John Jamieson School (East SILC Teaching School) and Bradford College on the School Direct programme where graduates apply directly to schools to undertake teacher training. The year-long, school based programme is devised and delivered by the school and Bradford College working in very close partnership. This will give an excellent training experience for the student teacher to ultimately take up a post within one of the Alliance schools. The Yorkshire Inclusive Teaching School Alliance aims to train the next generation of outstanding Leeds teachers. It is committed to providing the highest standard of education for the young people in our city and its surrounding towns and villages. It is keen to recruit student teachers who share the same commitment. In return it will provide training of the highest quality, delivered by outstanding practitioners that will include possibly the widest range of placements on offer anywhere in the country; it aims to deliver a truly bespoke training package. Successful trainees will achieve a PGCE with QTS. The Alliance is also committed to helping you develop professionally, well beyond your training and Newly Qualified Teacher (NQT) year, by means of an extensive programme of Continuing Professional Development (CPD) opportunities. Cockburn has played a major role in the development of this provision. Click here for more information about The Yorkshire Inclusive Teaching School Alliance route into teaching. 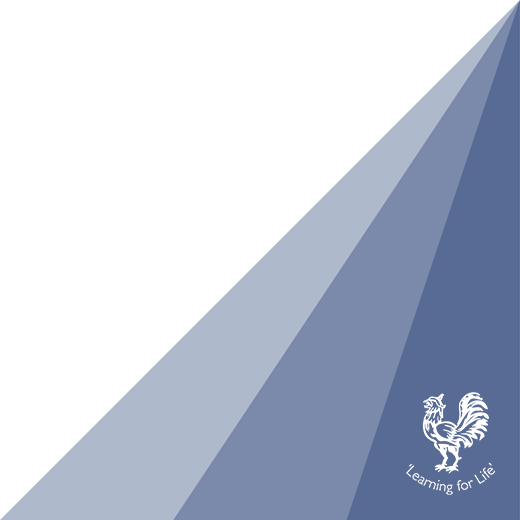 Cockburn is also proud to work with Leeds Beckett University, Teach First and Troops to Teachers.